We've seen creators make crazy things in Minecraft for years now. 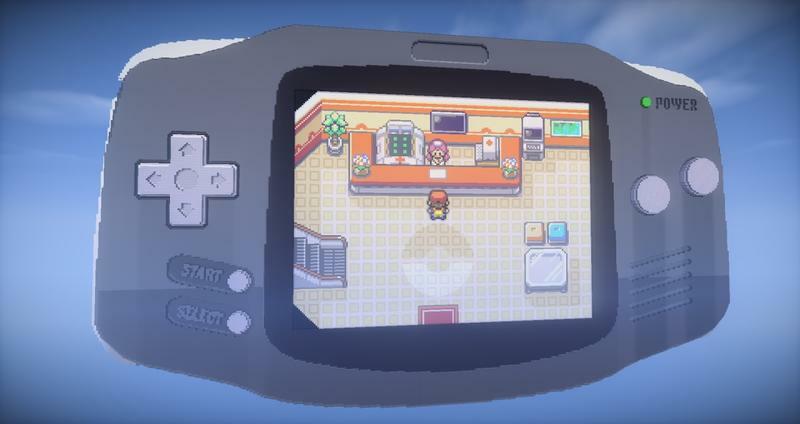 Today, we have a semi-working version of Pokémon FireRed running in the block building world on a virtual Game Boy Advance. The work comes from YouTuber and Minecraft creator Reqaug, and they offer that they're working to take this recreation even further. The whole thing depends upon the Structure block feature recently added to Minecraft with version 1.10. With that, players can put an entire structure, while playing creative, into a single block for transport and later use. I'm not Minecraft savant, but it looks like the screen changes in the game are happening as structure blocks are being activated and deactivated in order to create new scenes. This seems like an enormous undertaking to me, but it looks pretty neat.